2012 August » Embroidery Talk Has Moved! We have been getting a lot of sales tax related questions lately, so I thought it would be a good idea to go over how sales tax works and why we handle it the way we do. I know this is a confusing subject for a lot of people, so I’m hoping I can make things a bit clearer. The first thing you need to know is that EnMart charges sales tax in Michigan, Georgia, California, Illinois, New Jersey and Nevada. We do this because our parent company has a physical presence in each of those states, and so the states require us to remit sales tax to them. The information on how to legally avoid being charged sales tax is included on our policies page. Although we provide this information on our policies page, we still often get questions about why we charge sales tax, how to avoid paying sales tax, and why we charge sales tax in the states where we charge it. To answer these questions, I present an EnMart Sales Tax FAQ, which will hopefully answer many of the questions people may have about sales tax and EnMart. Q 1: Why do you charge sales tax? Companies are required by law to charge sales tax on orders originating in states where the company has a physical presence. Q2: What are the states in which you have a physical presence? Ensign Emblem, EnMart’s parent company, has facilities in Michigan, New Jersey, Nevada, California, Illinois and Georgia. EnMart charges sales tax in all those states, regardless of whether or not the Ensign facility is also an EnMart facility as well. Q3: Is there any way to be declared exempt from paying sales tax? 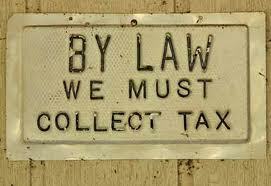 Each state has its own rules about how sales tax must be handled. Many states offer an option to resellers of providing a resale or sales tax exemption certificate to the companies from which they purchase. Once the company selling the goods has the certificate on file, they can exempt the purchasing company from sales taxes. EnMart provides links to the relevant sales tax forms on our Policies page. Q4: I’ve already sent you my sales tax exemption number. Why is EnMart still charging me sales tax? Completing the form or sending us your tax exemption number is not enough. To comply with the law, EnMart must have the relevant form on file in our offices prior to exempting any customer from sales tax. Forms can be faxed to us at 888-946-7583 or e-mailed to info at myenmart dot com. We must have the form on file in our offices before we can declare a customer tax exempt. Q5: I’ve provided the relevant form. Do I have to remind you I’m exempt every time I place an order? No. Once the form has been provided, the account status will be tax exempt. Any orders you place from then on will not be charged sales tax. Before I start in with the round-up, I just want to say that I know posts have been a little sparse here lately. I apologize for that. I can only plead a full schedule and a slight case of writer’s block. I hope both will be better soon. In the meantime, here’s a round-up post that will showcase some great things other people have been writing. First up, we have a post from All Things Embroidery that points out the need to consider embroidery when you create a logo. This post makes several very good points as most people still tend to design for print and don’t consider how their logo will be rendered in other disciplines. I definitely agree that simple is better when it comes to logos. The EnMart logo is simply the name of the company and boxes of color, and that works fairly well with almost anything. Sometimes not getting fancy is the best way to go. Second on the list we have Erich Campbell’s advice for coping with an unproductive day. I’m sure all of us have schedules that are filled to the brim and a day where you feel like nothing is getting done can be a disaster. Erich has some tips to help you put the lost day behind you. His best tip, as far as I’m concerned anyway, is the advice to let it go. I tend to be one of those people who beats myself up over not getting things done, so the advice to just release everything and start fresh in the morning really resonates with me. Third on the docket is a fabulous piece from Urban Threads about men and embroidery. They interviewed Jamie Chalmers, also known as Mr. X Stitch, and it’s a great interview. We all know the embroidery world tends to be geared toward women, but there are a lot of men, the aforementioned Mr. Chalmers and Erich Campbell, for two, that embroider and work in the industry as well. I love what this article says about making the craft of embroidery more inclusive and also the fact that it points out that embroidery doesn’t always have to be kittens and teddy bears and lacy borders. Fourth at bat is a post from Peter Shankman about the fact that your customer service doesn’t have to be awesome every single time, it just has to be better than what people expect. He says, and I agree, that most people are used to being treated awfully by companies these days, that simply making an effort to be nice may be enough to tip the scales in your favor. If you make an effort to go beyond that and actually be helpful, you may be well on your way to creating customers who will adore your company, and spread the word about it everywhere they go. 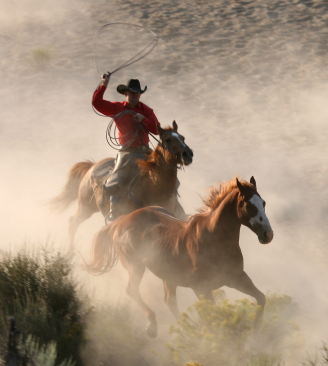 Fifth in the line up is a post from John Morgan about six ways that people sabotage their success. The thing that gets me about this post, other than the fact that he makes good points with all the ways he names, is number 6. Lack of confidence is a killer. It’s a cliche, but a true one; you have to believe in yourself before anyone else, including your customers will believe in you. If your business isn’t quite going where you want it to go, take a look at the six areas John mentions and see if you’re doing anything that might be sabotaging you meeting your full potential. First up today is a post from Black Duck Inc. spotlighting the amazing work Erich Campbell did with EnMart’s Q-104 product. I am consistently impressed by Erich’s artistry and skill, as well as his dedication to getting a project done right. He’s absolutely correct when he says he was first on my mind when I was looking for a partner for this project. Just look at what he created for us. What more could you want? Next up, from Design in Machine Embroidery we have the Intermediate Embroiderer’s Bucket List. I imagine many of the people who read this blog have already done a lot of the stuff on this list. If there is one you haven’t done, maybe you should give that particular task a try. It’s always good to expand your knowledge and skill set. Also, if you’re just starting out in embroidery, you can check out the Beginning Embroiderer’s Bucket List. Third at bat today is a post from Joyce Jagger about pricing your embroidery. Questions about price and how to price embroidery work are staples on every embroidery forum I’ve ever seen. The biggest problem seems to be that people don’t feel comfortable charging what they really should charge for their work, or they don’t know how to determine a fair price. Joyce can help you if you’re having those problems. Fourth on the docket is a post from Erich Campbell about pathing, and what a difference it can make in your production time. Since our parent company does embroidery I understand that time is definitely money, and the faster you can produce a design, the better off your business will be. Erich explains how proper pathing can help reduce production time. As always it’s useful information, and illuminates the process of embroidery just a little bit more. Fifth on the list is a post from Retail Minded which could be very helpful to those who own a brick and mortar store. Negotiating leases can be tricky, and this post has some tips that will help you do a better job when you negotiate. Getting the best deal on leasing your space can have a big impact on the success or failure of your business, so it pays to understand how leases are typically negotiated. Finally, we have a post from Peter Shankman about why having haters is a good thing. I like this post for a lot of reasons, but especially for points #4 and #6. The fact is that anyone who does anything even a little outside the box will have detractors and people who don’t like what they do. I’m with Peter in thinking that having haters is a sign that you’re actually doing what you should be doing and shaking up the status quo. I like that idea. 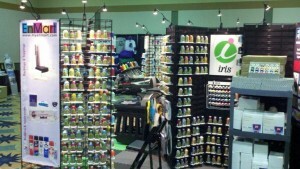 When the NNEP Embroidery Mart in Nashville ended, EnMart finished its trade show schedule for the year. There is one more show, the IFAI Expo in Boston, but that show is not aimed at machine embroiders or sublimators, so I tend to put it in a separate category. We had a lot of fun at the shows this year, and it was lovely, as always, meeting customers and potential customers, trading hugs with friends and helping people learn more about machine embroidery and sublimation. After every trade show season ends we generally take a few steps back and look at how the year went. We discuss booth sizes, what we had in the booth and what we didn’t have, and how what we had meshed with the items for which people were looking. Our goal is always to have what our customers want, but booth size tends to limit the amount of things we can bring. This brings me to my first trade show question of this post, if you did see us at a show this year, was there anything that we sell on our website that you wished we had showcased in our booth? One new thing we did try in 2012 was handing out sample request cards instead of actual sample bags. This saved people who visited our booth from the task of having to carry yet another bag around the show, as we send the samples right to their homes. The goal is always to get people the information and samples they want in a timely manner, without burdening visitors to our booth with a lot of extra stuff they may not want or need. Response to the sample cards has been very positive. If you did visit our booth at one of the shows, what did you think of the sample cards? Did you turn yours in after the show? Finally we should talk about the in booth demonstrations. In 2012 we had both an embroidery machine and sublimation printers with a heat press in the booth. People seemed to like seeing the Iris Thread run and being able to see the printers and the press at work. For 2013 is there anything additional we should be adding to the booth? 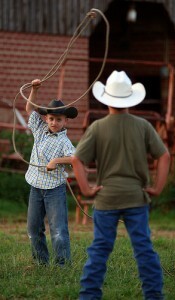 Would you like to see us do more seminar type demonstrations, or even do a seminar at a show? As always, we enjoyed seeing everyone this year, and sincerely thank all of you who took the time to stop by our booth to say hello or to learn more about EnMart. We appreciate your interest and look forward to seeing you all again in 2013. I may have told this story before, but not for a while, I think, so today seemed like a good day to tell it again. It’s a story I tell several times at every trade show I work, mostly because people always ask why we sell the thread we sell and use the thread we use. 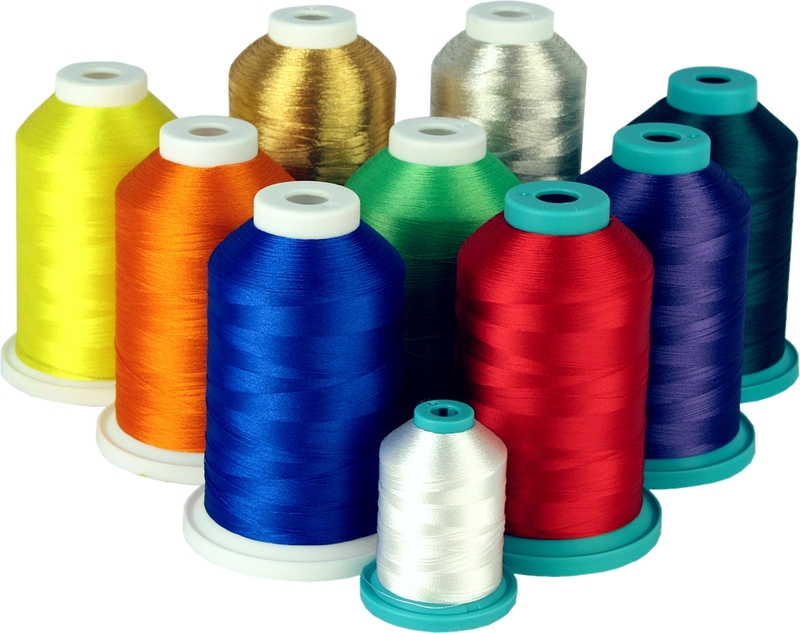 For those who are new to this blog or to EnMart, the thread we use is called Iris Thread, manufactured by a company called Hilos Iris. We started using the thread in 2007, and the company that sells it, EnMart, was officially formed and named late that same year. 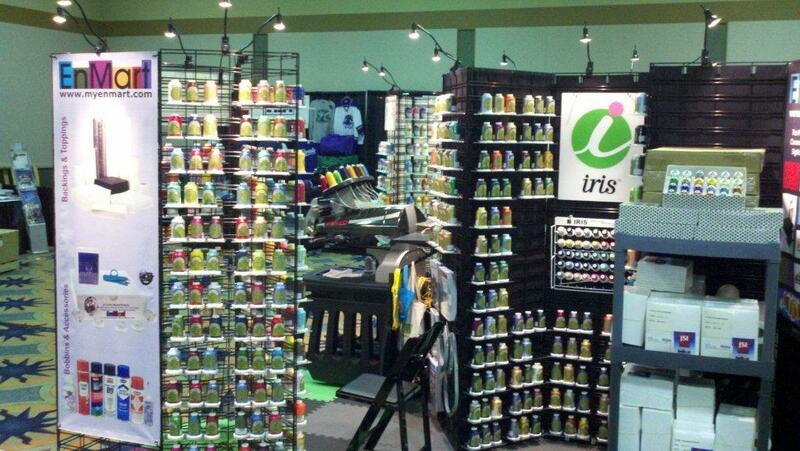 People who are not familiar with the thread often ask us why we chose to work with Iris Thread when there were other more well known brands that we could have used. The answer to that is simple. Our parent company, Ensign Emblem, has been in business since 1974. Over the years we’ve embroidered millions of emblems and used tons of thread. You name a brand, at some point it has likely run on our machines. We’ve tried them all and, in the end, discovered that Iris Thread suited our needs best. Iris thread simply works. Why does Iris work for us, and why will it work for you? There are a couple of reasons. First, the Iris UltraBrite Polyester is durable. In our experience it has less thread breaks than other threads. It is also wash fast and color fast. If you work with garments that are going to be washed time and time again, or exposed to harsher washing conditions, that’s an important point. The Iris poly thread also has a great sheen, something that was historically only available from rayon thread. Finally, there’s the color palette. 299 colors from light to dark and soft to vibrant. I also can’t forget to mention Iris Dazzling Metallic Thread, the thread that turns metallic thread haters into metallic thread lovers. As many of you already know, sewing with metallic thread can be a challenge. Iris metallic thread greatly reduces that challenge. I can’t tell you how many people have tried a sample of our metallic thread, and then told me how great the thread was and that they’d never use another metallic thread after using ours. Quality shows, and our metallic thread is built to sew smoothly and add a pop of sparkle and shine to your designs. We all know that it’s your choice what thread you choose to use and that I could go on for several more paragraphs and still not change your mind about what’s currently running on your machine. The proof is in the pudding, or in this case the thread, and so I invite you all to request a sample of our Iris poly thread or our Iris metallic thread and see for yourself. You have nothing to lose and everything to gain, so contact us and ask for your sample to be sent today.